In this guest post, Yogi Brent shows you how to get high on sound waves using a Sound Bath meditation. 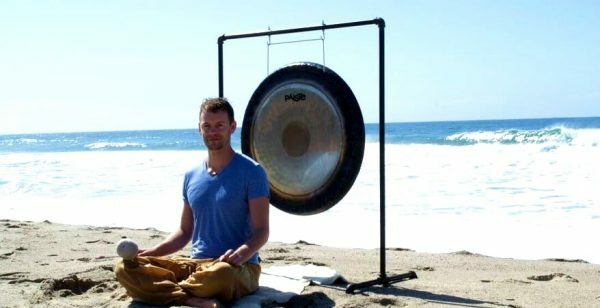 There are many ways to recharge in a short amount of time, but a Gong sound bath meditation is one of the most pleasurable. The sensation of floating, of energy moving through your body, tingling, temperature changes, sonic skin massage, and being transported to another time and place. These sensations are what you will experience when you “get high on sound waves”, when you experience a gong sound bath meditation. We are vibrational beings. When you relax while in the presence of the Gong, a vibrational instrument, it “recalibrates” you. Just a little bit of relaxation is amplified by the sounds. Lie on your back, let muscle tension go, and the sound vibrations enter your body, and have the ability to exponentially expand your relaxed state. Like a finely tuned instrument, you emerge ready to play the sound of the universe through you, which is what happens when you are relaxed and happy. The Gong is an experiential vibrational form of sound therapy that resonates with us on a microcosmic/macrocosmic level. NASA has sent out space probes to record far away regions of our universe, and when those recordings come back to us, they always sound like some variation of a well played Gong. You may have chanted “Om” in a yoga class before. In Kundalini Yoga, there is different version, “Ong”, which is made by pressing the tongue on the roof of the mouth. It’s a nasally sound, and when done correctly, you feel the vibrations in your nose, throat and sinuses. It’s like a Gong in your head! This internal Gong sends therapeutic vibrations from the roof of your mouth where the tongue is pressed, into the brain, which is resting nearby. The frontal lobe, responsible for intuition, emotion and cognitive function gets an internal massage that creates a relaxed meditative state, and over time, improves functioning in the frontal lobe. Next time you take a bath, put your ears underwater and listen to the clear, rhythmic pulse of your heart. It will sound like the deep bass of a dance beat. Or the steady pulsing of a mallet against a gong. Yogi Bhajan said “Whatever is rhythmic is happy” and when you give yourself a chance to concentrate on your own beating heart, you can experience that. When you feel depressed or down, it can feel immobilizing, like you just don’t know what to do to feel better, even though there are a hundred things you “know” would help. In those moments, there is no rhythm, your internal vibration of energy is low, you need a recalibration. One of the best ways to get that recalibration is by getting high on sound waves, by doing a sound bath meditation. From the internal sounds of our bodies, to the sounds of the distant reaches of the universe, rhythm and vibration are central to what makes us feel happy, what makes us feel like us, and that is why sound bath meditations are so powerful, and why the feeling of getting high on sound waves is so wonderfully therapeutic. Check out The Gong Project for a free Gong song download, and iTunes for the full album. 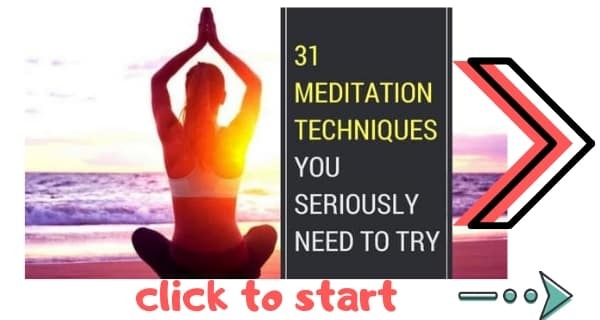 You might also like: Meditate on Tibetan Singing Bowls. Or listen to this beautiful music for meditation.